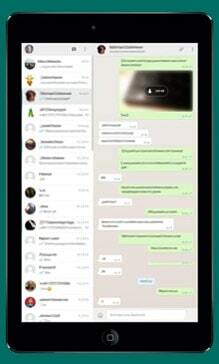 Description: Do you want to use WhatsApp on your mobile phone & tablet simultaneously? That’s possible with WhatsTablet now. Install WhatsTablet on your tablet and connect your mobile phone with your tablet via a QR code, that’s all. From now on tablet & mobile are synct. Hint: This app is not an official WhatsApp applications and not associated with WhatsApp Inc.